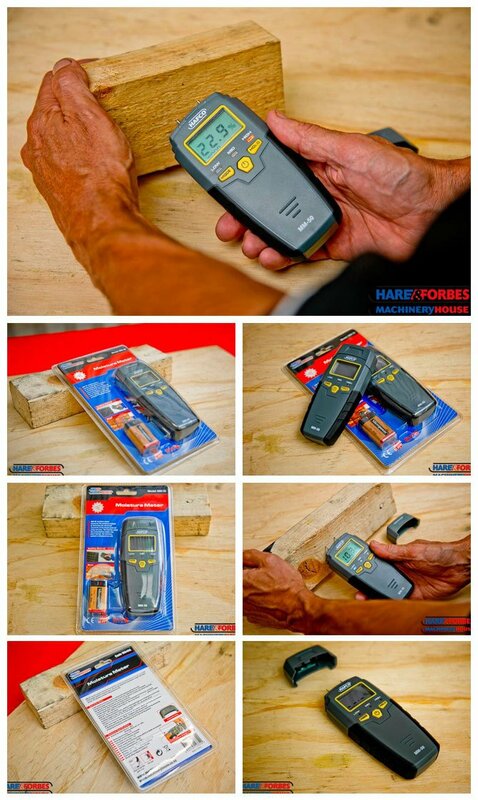 Woodworkers, measure the moisture content in wood! This MM-50 moisture meter measures the moisture content by detecting the electrical resistance of the target material using two pins. The unit has low consumption single chip smart design, the moisture content is displayed by LCD.